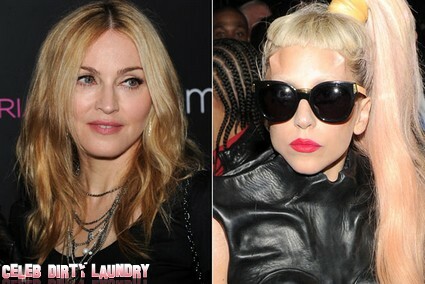 Madonna stuck the knife into Lady Gaga by implying that ‘Born This Way’ is a ripoff off Madonna’s ‘Express Yourself.’ Madonna is not the first person to express the opinion that Gaga veers too closely to The Material Girl’s work, too often. But in an interview with Newsweek Madonna herself makes her thoughts public and if one reads between the lines she is calling Gaga a thief. Madonna also made not of the similarity between her own and Gaga’s oeuvre with Graham Norton recently – saying: “When I first saw her I was really impressed by her and she was cool. She did remind me of me back in the day.” Talk about a backhanded compliment… .